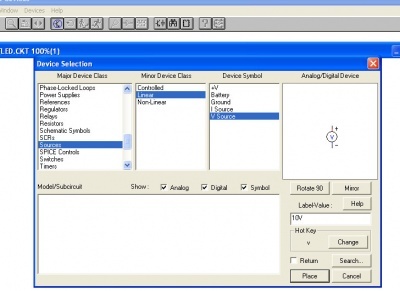 We can also specify an initial state for the capacitor. 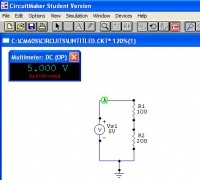 For example, let us set the capacitor's voltage as 12V at t=0. 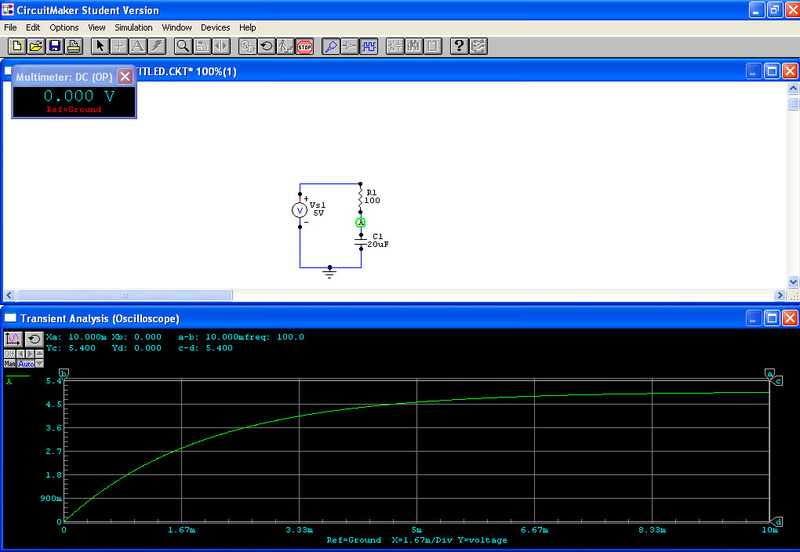 We can do this by double-clicking on the capacitor and adding the statement IC=12V to the Spice Data field. 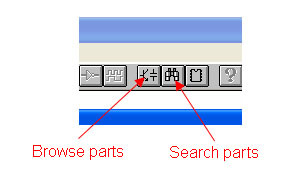 To do this, right-click on the capacitor and select Edit Pin Data. 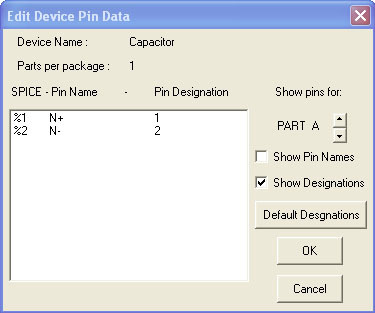 This menu displays the pin names and their corresponding pin number designations. 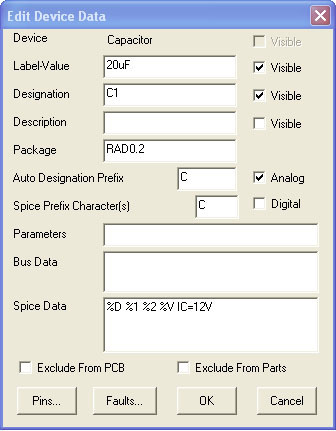 Check the Show Designations box to disply the pin numbers on the circuit (do not use Show Pin Names, the names may overlap each other and cause confusion).